HELENA, Mont. (BP) — Twenty-nine people from across Montana stayed an extra day after the 2018 annual meeting of the Montana Southern Baptist Convention to participate in the convention’s first-ever Crossover evangelistic initiative. The 29 messengers from the annual meeting assisted four of Helena’s Southern Baptist churches Oct. 6 by joining in door-to-door Gospel conversations, canvassing neighborhoods and distributing flyers about the churches. The annual meeting — known in Montana as “Refresh” — took place Oct. 4-5 at Big Sky Fellowship in Helena, where Darren Hales has been pastor since 2006 when he started the church. The 217 people present included 75 messengers from 40 of Montana’s 136 churches along with 52 children from their families. Business consisted of hearing reports from national entities and state leaders, unanimously passing the budget and unanimously electing new officers. “Our 2018 Cooperative Program giving is on track to exceed 2017 giving by more than 20 percent,” Duke told messengers in his executive director’s report. “That is a great sign of economic health. Messengers unanimously approved a new convention initiative: Go Montana, which replaces the current Vision 2020 focus. Go Montana focuses on church mobilization and is built around three emphases: Going, Telling, Serving, Duke explained. While the convention has seen many successes, it is not going to meet its Vision 2020 goals, Duke said. One goal was the addition of 134 churches by 2020, more than doubling the 132 Southern Baptist churches in 2010. But today, there are 136 churches, a net increase of four, though 39 churches have been planted since 2010. Montana churches in 2017 reported an average Sunday worship attendance of 8,643, down 320 from 2016, and 605 baptisms, down 28 from a year ago. But its Cooperative Program giving was the highest ever: $628,056, up from $594,203 last year. In his report, Duke also reported the appointment of Darren Hales as church strengthening director, Mark Langley as consultant for congregational worship and Sharon Ellington as executive director of Montana Southern Baptist Women. Also bringing reports were Hales and Ellington; outgoing MTSBC President Lee Merck, pastor of Church of the Rockies in Red Lodge, William Johnson, church planting team leader; Adam Burt, next gen team leader. ; Bruce Cannon, Yellowstone Christian College president; Ed Hudson, executive director of the Baptist Foundation of Montana; and Dan Stewart, retiring Dec. 31 as state disaster relief coordinator. Representatives from national entities included Ashley Clayton for the SBC Executive Committee, Rick Curtis for the North American Mission Board and unnamed (for security reasons) missionaries for the International Mission Board, as well as representatives from GuideStone Financial Resources, LifeWay Christian Resources and the Southern Baptists of Texas Convention, which started a three-year partnership in January with the Montana convention. Jeff Iorg, president of Gateway Seminary in Southern California representing all six Southern Baptist seminaries, was the keynote speaker. Iorg spoke on excellence in ministry from the Parable of the Talents in Matthew 25. Excellence in ministry means making the most of what you are and have, he said. What is important is making the most impact for God wherever you are, not making a name for yourself. The 2019 budget of $1,496,046 was approved unanimously and without discussion, with $780,046 anticipated from Cooperative Program gifts by Montana churches; $455,000 from NAMB for church planting, $100,000 for administration and $85,000 for evangelism; $60,000 from LifeWay; and $16,000 in accrued interest. Of the CP gifts from churches, 25 percent is allocated again this year, as it has been each year since 2015, for national and international SBC causes. That amounts to $195,012 leaving the state. 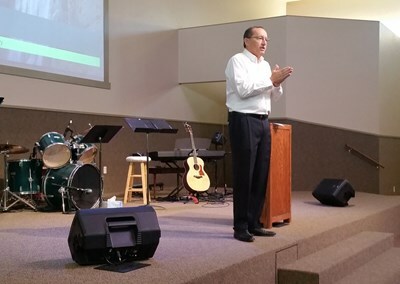 Montana lost 10 staff positions at the associational and state levels when the Great Commission Task Force directed NAMB to focus on church planting in under-reached population areas, Duke told Baptist Press. With the calling of a church strengthening team leader and a worship consultant, the state convention’s budget increased $192,280 from last year’s $1,303,766 budget. MTSBC also plans to support Yellowstone Christian College in Billings in 2019 with $27,000. Both of the convention’s officers were elected unanimously and without opposition: president, Chad Scarborough, pastor of First Baptist Church in Shelby, and vice president, KJ Ellington, pastor of Jordan Community Bible Church in Jordan. No resolutions were proposed nor any changes made to the MTSBC constitution and bylaws. No other business was transacted. The dates and place of the 2019 annual meeting will be determined in the months to come. A Thursday evening dessert fellowship welcomed Hales, a 12-year veteran of ministry in Montana, as church strengthening team leader. Friday morning Jeff Iorg led a ministry workshop for pastors. Matt Tyson of One Conversation of Euless, Texas, led an evangelism training to prepare attendees for the Crossover outreach on Saturday as well as in their communities. Ann Iorg and Denise Duke hosted a pastors’ wives tea. “I thought we had a great meeting,” Duke said. “The spirit was fantastic and there was a great sense of fellowship and camaraderie among our pastors. 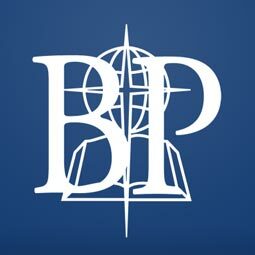 This article originally appeared on the Baptist Press News website.